He estado usando este intercambio para vender y comprar criptomonedas durante varios años porque ofrece buena seguridad y también tiene un gran volumen de mercado para las criptomonedas más importantes, como Bitcoin o Ethereum. Lo que más me gusta de este intercambio es su apuesta por la seguridad de la cuenta, ya que es evidente que uno de los problemas más importantes en el mundo de las criptomonedas es piratear a los intercambios. Para esto, Bitfinex ofrece varias medidas de seguridad para su cuenta. También tienen su propia moneda llamada USDT que ofrece paridad con el dólar USD, por lo que es posible mantener sus fondos en dólares al mismo tiempo que tiene una criptomoneda llamada USDT, este token se puede transferir fácilmente como si fuera Bitcoin. +Son muy selectivos con las monedas que agregan a la plataforma, aunque esto puede ser positivo en términos de la saturación del servicio de monedas inútiles que deja de ser cuando no agregan ciertas monedas interesantes y con una gran comunidad detrás. +Ser un intercambio conocido es el resultado de muchos ataques de hackers maliciosos y, aunque han estado funcionando durante años, personalmente tengo miedo de tener monedas almacenadas en el intercambio, aunque esto se aplica a todos. Recomiendo usar Bitfinex como plataforma para invertir en Bitcoin o ETH principalmente porque el volumen que se mueve y la liquidez se encuentra entre los más altos del mundo, además, la plataforma de Bitfinex es muy segura y es algo a tener en cuenta cuando se trabaja con monedas virtuales. 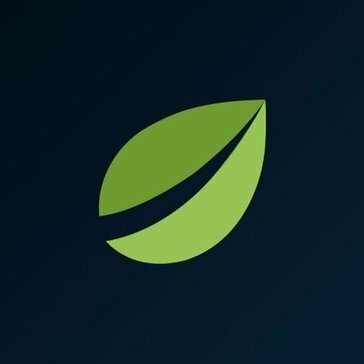 Utilizo Bitfinex para mantener mis ahorros a salvo de la inflación y como inversión a largo plazo, aunque el negocio de las criptomonedas es muy volátil, me ha brindado muchos beneficios hasta que ahorre, siempre utilizando esta plataforma como un medio. I have been using this exchange to sell and buy cryptocurrencies for several years because it offers good security and also has a large volume of market for the most important cryptocurrencies such as Bitcoin or Ethereum. What I like most about this exchange is its bet for the security of the account, since it is evident that one of the most important problems in the world of cryptocurrencies are hacking to exchanges. For this Bitfinex offers several security measures for your account. They also have their own currency called USDT that offers parity with the USD dollar therefore it is possible to keep your funds in dollars at the same time you have a cryptocurrency called USDT, this token can be easily transferred as if it were Bitcoin. - Security is very high in the application, since it allows adding white lists of addresses, enabling 2FA, alternative emails among other additional security filters. - The interface is very nice visually and it is also very intuitive. - The graphs on the evolution of the prices of the coins are typical of Bitfinex and have several filters to apply in them. - Bitfinex secures the funds of your account in case of piracy so you should not be afraid of hacking, in any case it is advisable to avoid storing your funds in any exchange. - They are very selective with the currencies that they add to the platform, although this can be positive in terms of the saturation of the service of useless coins that ceases to be when they do not add certain interesting currencies and with a large community behind. - Being a known exchange is the result of many malicious hacker attacks and, although they have been running for years, I personally am afraid of having coins stored in the exchange, although this applies to all. I use Bitfinex to keep my savings safe from inflation and as a long-term investment, although the business of cryptocurrencies is very volatile, it has given me many benefits until I save, always using this platform as a means. "Bitfinex safest exchange and regulated!" What i liked most is that a well managed exchange by profesionals that wont let you down even if somebody hack them, your money is backed by USDT. What i do not like is that sessions last only a few minutes so you need to re-login very often, USDT fees are very high also. Do not forget to setup every option to secure your account if you manage large amounts of money. I'm responsible for crypto assets management. The benefits is that you can make a lot of money not just by trading but also because you do not need to pay abusive fees to banks. "A really good platform assuming that it has all the coins that you need"
"the safest exchange on the web"
the best thing about bitfinex is its security, the multiple options to configure security in two steps, it has the best commissions the lowest for buying and selling, the ability to buy with fiat money, very clean and instinctive interface, in the 3 years that I have using this platform I have never had any problem, supports the main crypto, good tools to make automatic trading. does not support authy that is very used for security in two steps, the minimum withdrawal is very high, the sms messages to confirm may take a long time to arrive. There are many platforms in the market for buying and selling cryptocurrencies but none gives you the feeling of security offered by bitfinex, also very accessible web commissions very fluid I highly recommend it. "Enterprise-grade platform with many coins and options supported"
"Easy to use Professional Cryptocurrency Exchange"
Easy to use and user friendly interface for prefessionals. Trailing-Limit is the best order in this exchange. A sell trailing-limit moves with the market price, and continually recalculates the stop trigger price at a fixed amount below the market price, based on the user-defined "trailing" amount. Bitfinex also have strong Technical Analysis tools. Security can be very high level. You can configure level of security. Mobil app also user friendly. You can access mobile app without lot of security questions, just using API Key. There is no enough number of altcoin but actually Bitfinex does not have such a claim. If you set your security level high, it becomes a little bit tedious. Although Bitfinex has a user friendly interface it is suitable for mid level or above professionals. If you want to use exchange or want to do trading with main and well known tokens and coins you can use this well known, high security and high liquidity exchange company. "Has been better in the past, not so trustworthy anymore." You'll read a lot about the margining opportunities that used to be available. I could easily turn $30 into about $400 in just minutes given the right conditions. It has turned into a different kind of place - the little guy can't get started with nothing and become a successful trader on this platform anymore. There are outrageous minimums required to trade, and USDT is no longer the standard in crpto-fiat it once was. If you already know what you're doing and understand markets, go ahead, if not, don't waste your time. The barrier to entry is too high for an amateur to bother wasting their money trying to learn. Margining cryptos that are pretty much impossible to margin on anywhere else. Very wide variety. "I had fiat withdraw, even after 28 days, still did not reach my bank account"
A new study found that Bitfinex has some of the lowest exchange fees in crypto. "Wire transfer £97k still missing from bitfinex"
"My NEO deposit is not showing up in my Bitfinex account"
High liquidity with markets not only in crypto but to USD GBP JPY Euro and Tether USD/Euro. You need a minimum account equity of 10,000 USD to even use the platform. It also takes new requests about 6-8 weeks to complete registration. They also plan to charge a small fee for users leaving funds in their wallets. Good option because of high liquidity. In my opinion, as long as US persons are blocked, there will be a missed opportunity for higher volume. There is a large amount of liquidity with access to other foreign currencies as well as a large offering of cryptocurrency. "very easy to make exchanges"
"Very good and robust platform"
"Outstanding platform for crypto exchange"
* We monitor all Bitfinex reviews to prevent fraudulent reviews and keep review quality high. We do not post reviews by company employees or direct competitors. Validated reviews require the user to submit a screenshot of the product containing their user ID, in order to verify a user is an actual user of the product. Hi there! Are you looking to implement a solution like Bitfinex?